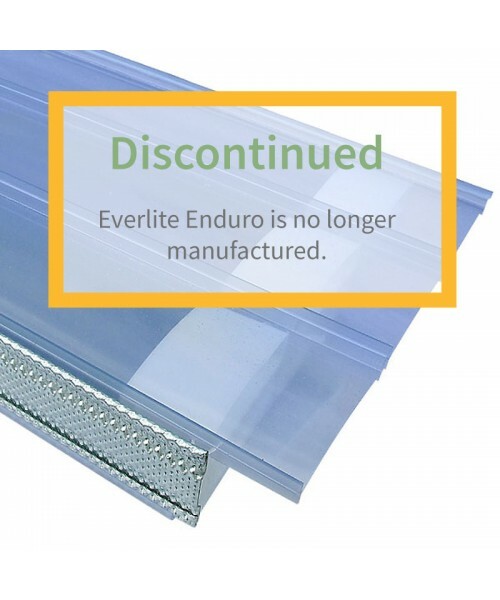 The manufacturers of Everlite Enduro, Eurocell Building Plastics, stopped production of the panels and components in 2017, after struggling to meet new European plastic standards. The system was designed to meet the challenges of low-pitch roofing where height restrictions exist, such as ftting a lean-to roof against a bungalow. However, a comparative hardwearing and durable, quick-fit system from Ultraframe is still available for such applicaiton. It is called Ultralite 500 and more information can be found in our Ultralite 500 Roof-in-a-Box and Ultralite 500 Roof Panel product pages.